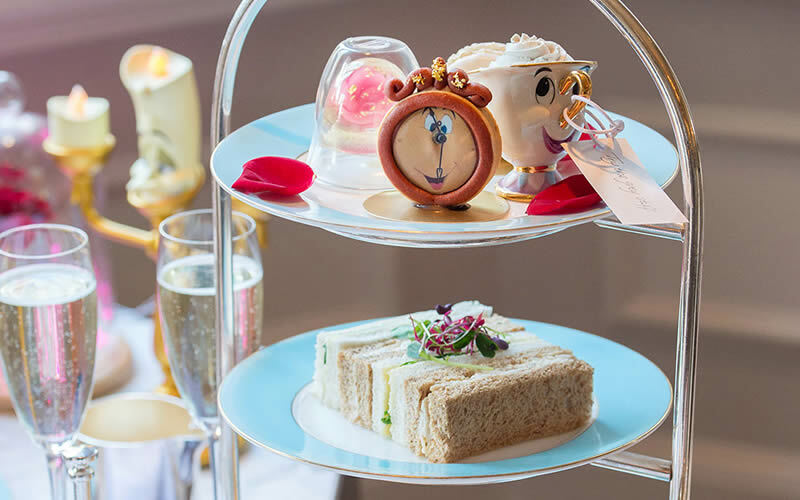 This picture-perfect afternoon tea comes complete with Mrs. Potts and Chip Potts crockery, a chocolate clock tart, and a biscuit version of Belle’s yellow dress. Fans of the film will love the ‘try the grey stuff’ mousse and the vanilla and gold jelly with rose petals suspended inside. £42 per person or £54.50 with a glass of Champagne. 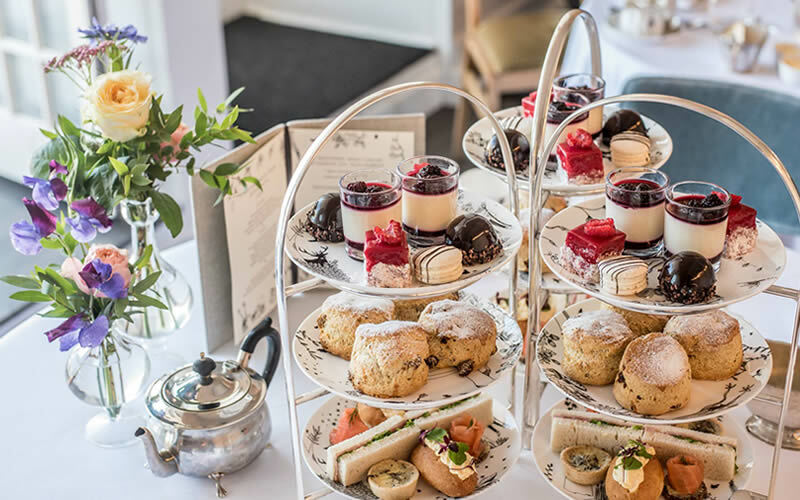 Afternoon tea at the Swan is inspired by Shakespeare’s famous romantic comedy, from the apricots Titania feeds to Bottom to the mulberries from the lovers’ tree. Expect rhubarb and custard chouquettes, scones with midsummer berry jam, and a Love Potion cocktail made with Earl Grey infused gin. Diners with a savoury tooth can order a Gentleman’s Afternoon Tea which includes beef sliders, Scotch eggs, and a tankard of ale. £28.50 per person, £33.50 with a glass or Prosecco, £35 with a cocktail, or £37.50 with a glass of Champagne. A treat for children and grown-ups alike – no golden ticket necessary. 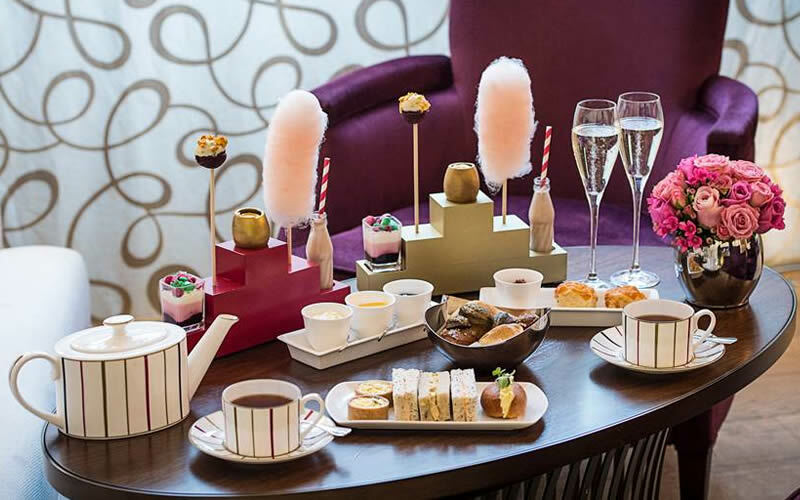 Based on the beloved Roald Dahl tale, this tea includes whimsical treats like homemade candy floss, blueberry and white chocolate cake pops, and bubble gum panna cotta. Be sure to save room for the pièce de résistance – a golden chocolate egg filled with vanilla cheesecake and mango. £45 per person, £56 with a glass of Champagne or a cocktail, or £59 per person with a glass of rosé Champagne. 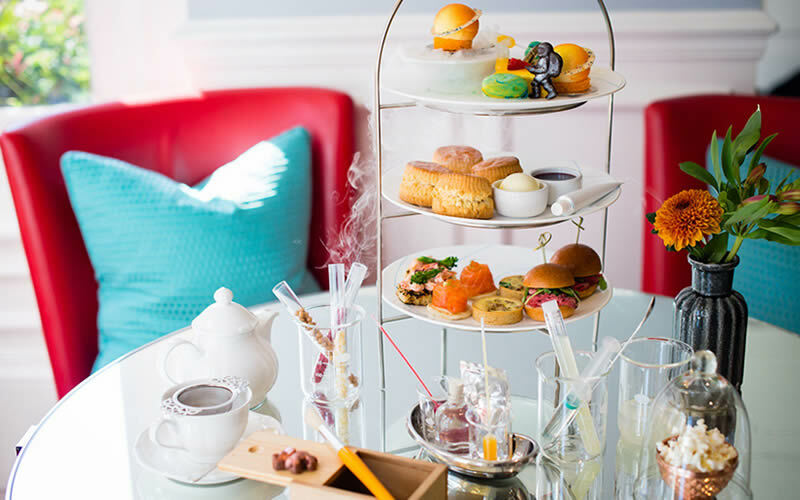 At The Ampersand Hotel in South Kensington, you can enjoy a unique interactive tea inspired by their neighbour, the Science Museum. Expect jellies served in petri dishes, galactic cakes and mousses, and milk chocolate fossils hidden beneath chocolate soil. The tea has proven such a hit that it was named Best Themed Afternoon Tea at this year’s Afternoon Tea Awards. £39.50 per person or £49.50 with a glass of Charles Heidsieck Champagne. 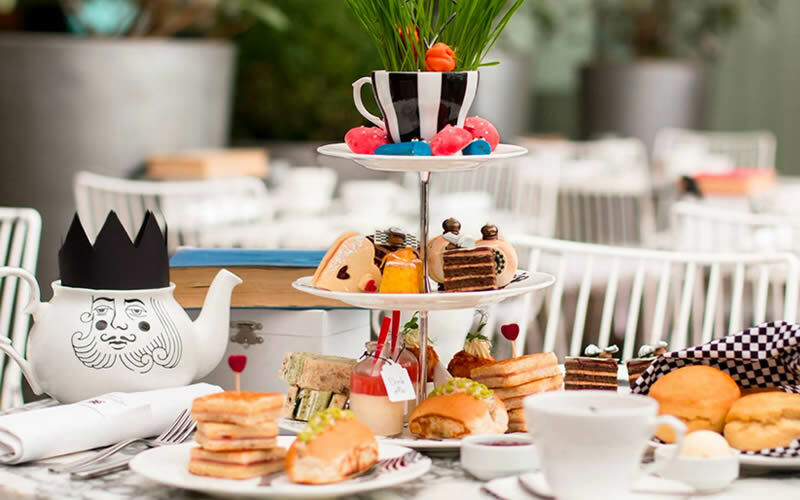 Tumble down the rabbit hole for an Alice in Wonderland-inspired tea party at the Sanderson Hotel. It’s a treat for diners of all ages, with menus hidden inside vintage books, ‘Drink Me’ potions, pocket watch macarons, and ‘magic mushrooms’. Tea is served in the hotel restaurant and amongst the flowers and flamingos in the courtyard garden. £48 per person, £58 with Champagne, £65 with pink Champagne, and £35 per child. Inspired by the world of fashion, The Berkeley’s afternoon tea changes every six months to reflect the latest catwalk trends. 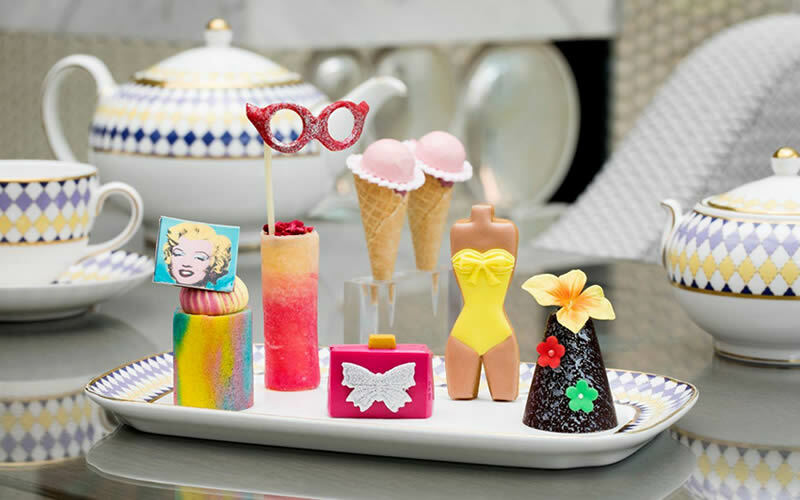 This year’s spring/summer collection features bikini biscuits, glitzy chocolate sunglasses, and dainty handbag cakes, inspired by fashion houses like Versace, Erdem, and Tom Ford. Alongside the sweet treats, diners can enjoy elegant savoury dishes and loose leaf tea from The Berkeley’s extensive collection. £52 per person or £62 with a mocktail or glass of Champagne. The Rosewood’s Art Tea has been voted the Best Contemporary Afternoon Tea in the UK for the second year running. The new pastry collection celebrates the artistic movements of Cubism and Pop Art, so expect show-stopping sweets inspired by Andy Warhol, Roy Lichtenstein, and Yayoi Kusama. Save room for some of their freshly baked scones served with homemade strawberry and elderflower jam. £58 per person, £68 with a glass of R de Ruinart Champagne, or £73 with a glass of Ruinart Rosé Champagne. Looking for more themed afternoon teas? 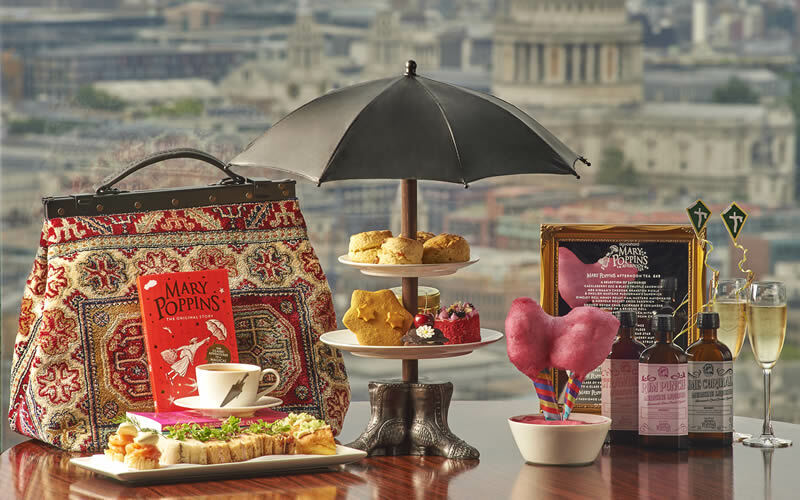 You can take tea in The Potion Room at Cutter & Squidge, scoff scones on a bus tour through London, or enjoy a fragrant Diptyque-inspired tea at Hotel Café Royal. 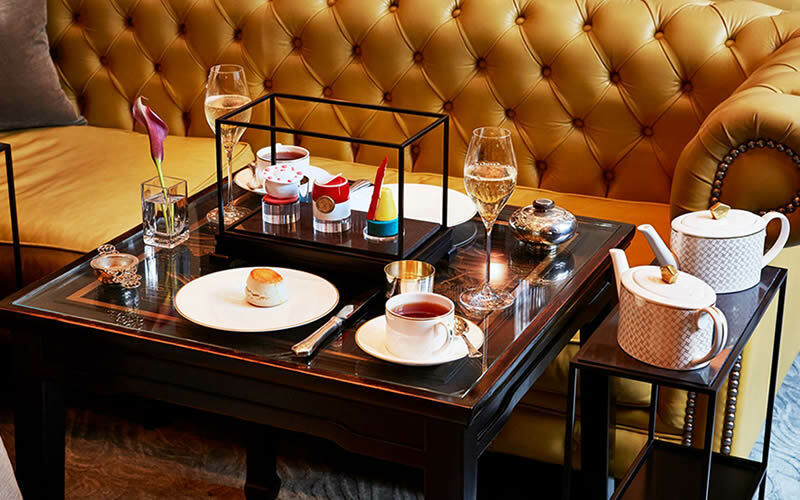 For something more traditional, check out our round-up of London’s best restaurants for afternoon tea.